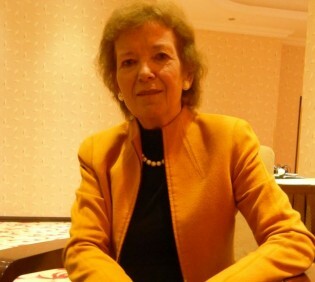 Ireland’s former President Mary Robinson has been working hard to include women from the Democratic Republic of Congo (DRC) and the Great Lakes Region in the regional peacebuilding process. Because without their involvement, she says, peace and security in the region will be unrealistic. The "blind and unrestricted" reintegration of M23 deserters into the Congolese army could harm the country, according to Thomas d'Aquin Mwiti, the chair of the North Kivu civil society platform, in eastern Democratic Republic of Congo. On the way to his fields, Denise Mambo, a resident of Kitshanga, North Kivu in eastern Democratic Republic of the Congo, stops at a rope laid across his path. President Barack Obama’s top diplomat on African affairs on Tuesday defended the U.S. administration’s response to the continued crisis in the Democratic Republic of Congo (DRC), in the face of stepped up criticism from both civil society and U.S. lawmakers. Lined up along a dirt path that meanders its way up into the lush war-torn mountains surrounding the small town of Sake, in eastern Democratic Republic of Congo, hundreds of young rebel soldiers sat on the road banks in the baking sun. Rebels in eastern DR Congo say they have started withdrawing from territory they have captured from government troops, days after a pullout deal was reached in neighbouring Uganda. Humanitarian agencies working in the eastern part of the Democratic Republic of Congo have been overwhelmed following a massive displacement triggered by fighting between the Congolese army (FARDC) and rebel movement M23 in North Kivu. After weeks of delay, the United Nations released Monday its full annex by the U.N. Security Council condemning the Rwandan government for its support of Congolese rebels.